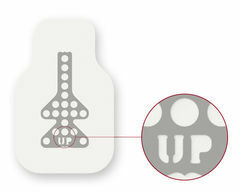 The Ti-Reinforced membrane has a three-layer design. The outer, soft tissue friendly PTFE layer is resistant to bacteria; the middle layer is a strong highly shapeable titanium mesh; and the inner PTFE layer has an expanded texture that enables predictable hard tissue integration. This combination results in a membrane that is easy to handle and protects the augmentation site in a predictable manner. 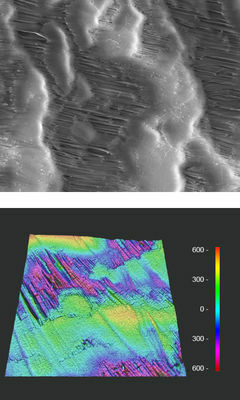 The soft tissue side of the membrane has a tight texture. This enables soft tissue interaction which further increases membrane stability. It also creates a barrier function which minimizes the risk of infection. The titanium mesh configuration constitutes a strong and highly shapeable reinforcement that retains its shape throughout the healing period. 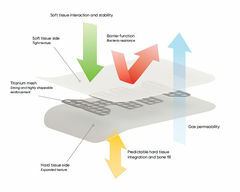 The hard tissue side has an expanded texture that enables predictable hard tissue interaction. In combination with the firm mesh configuration complete bone fill can be achieved. The NeoGen™ Ti-Reinforced membrane is surgically placed under the oral mucosa to aid in the regenerative healing of bone defects. The membrane stops the soft tissue from growing into the defect and creates space for complete fill of the defect with regenerated bone. These membranes are typically used for coverage of larger defects where a rigid membrane is needed to ensure coverage from external mechanical forces or to create a scaffold for bone growth outside the bony envelope. For example, vertical ridge augmentations, large buccal defects etc. The membrane material is polytetrafluoroethylene (PTFE). The mesh is made of commercially pure titanium. Membrane thickness is 0.25 mm. The mesh reinforcement design makes the membrane more resistant to external forces than conventional finger type reinforcements. 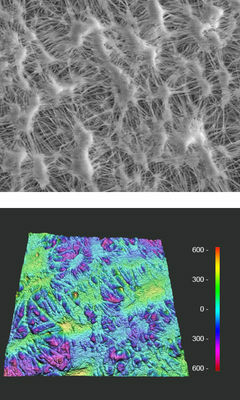 The different surface textures and porosities of the NeoGen™ membranes are created by varying nodes and fibrils within the PTFE material matrix. NeoGen™ Ti-Reinforced membranes are provided sterile and double packed in a box and a pouch. Content of the pouch is sterile. The membranes cannot be re-sterilized. 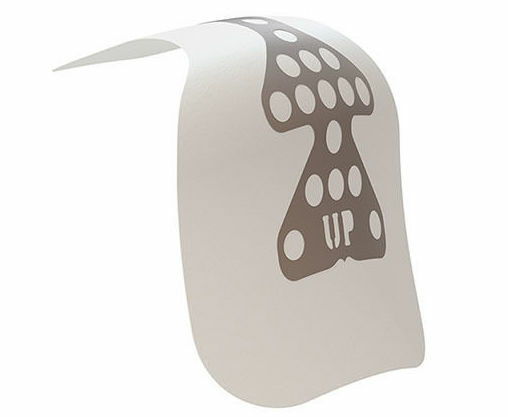 Soft tissue side (outwards) is identified by the word UP cut out in the titanium mesh. This side is facing up in the delivery pouch.